Jigsaw-cut puzzle with 4 puzzle piece sectioned heart figure piece. This puzzle has 70 pieces and a finished size of approximately 8"x10" and 1/16" thick. 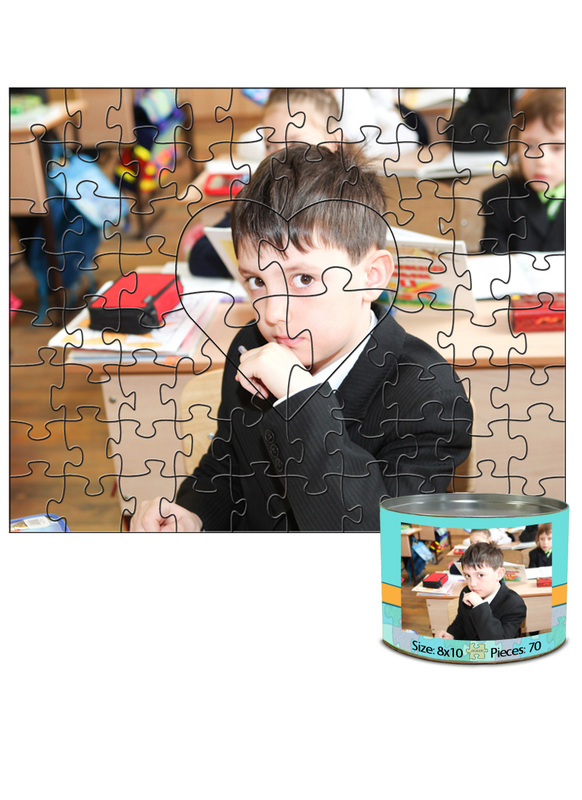 It comes packaged in our puzzle can packaging which has a full color wrap around label with the puzzle image printed on it.